Cape Town – The QYL award recognises exceptional young people between the ages of 18 and 29 across the Commonwealth who are driving tangible change and transforming their communities. 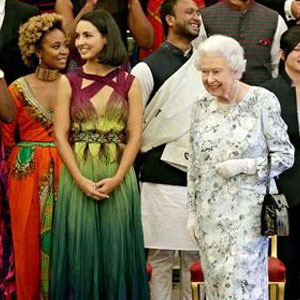 Farai Mubaiwa (Founder of Africa Matters) was awarded the prestigious Queen’s Young Leader (QYL) Award at The Buckingham Palace, along with two other South Africans, Chantelle De Abreu and Aditi Lachman on 29, June. 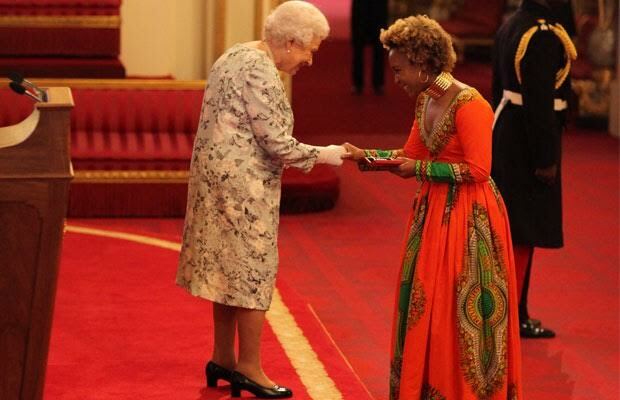 Farai was chosen out of, over 2000 applications across the Commonwealth, and only 60 applicants were chosen as the recipients of the award. Mubaiwa was awarded the QYL award in recognition of Africa Matters and her involvement in the #EndRapeCulture movement at Stellenbosch University. Despite the QYL award being a Commonwealth award and thus linked to colonialism, Africa Matters was praised by the QYL Advisory Board as an important African initiative that created necessary platforms for engagement about African Identity, decoloniality and leadership. Award winners participated in an online Leadership Course from the University of Cambridge, and also received training and mentoring from field experts. Included in the award winner package, was a two-week residential programme in the United Kingdom which consisted of further training at the University of Cambridge, networking with influential figures, and receiving the award from Queen Elizabeth 2nd.